In the small city of Strattenburg, there are many lawyers – and though he’s only thirteen years old, Theodore Boone means to be one of them. He knows every judge, policeman and court clerk in town, and dreams of being a great trial lawyer, living his life in the courtroom. But when does knowing a lot about the law turn into knowing too much? When he’s caught up in a sensational murder trial in which a cold-blooded killer is about to go free, only Theo can wrap up the case – if he can stay alive. 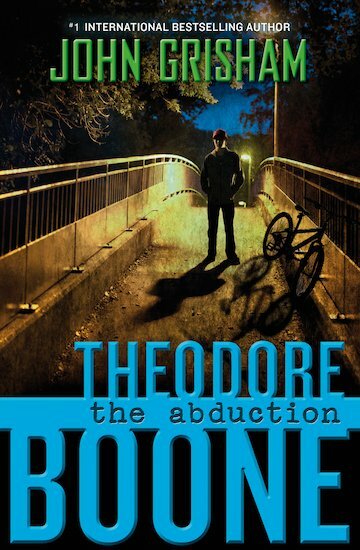 But will the danger that Theo attracts also spread to the loved ones around him? Celebrated writer John Grisham, the undisputed master of the legal thriller, brings his magic touch to these gripping novels about an aspiring teenage lawyer. John Grisham has won numerous awards for his adult fiction, including the Lifetime Achievement Award at the British Book Awards in 2007.